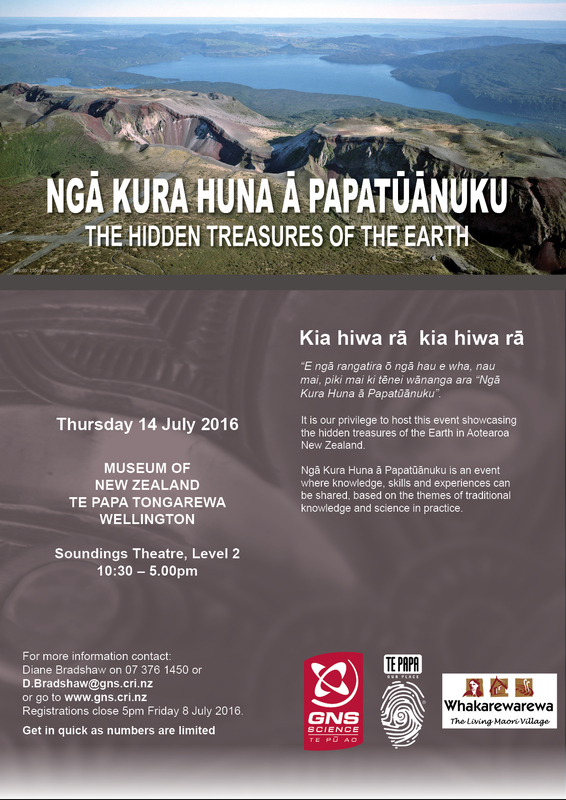 Ngā Kura Huna ā Papatūānuku is an event where knowledge, skills and experiences can be shared, based on the themes of mātauranga and science in practice. information with the public of New Zealand. Registrations closed 5pm Friday 8 July 2016.